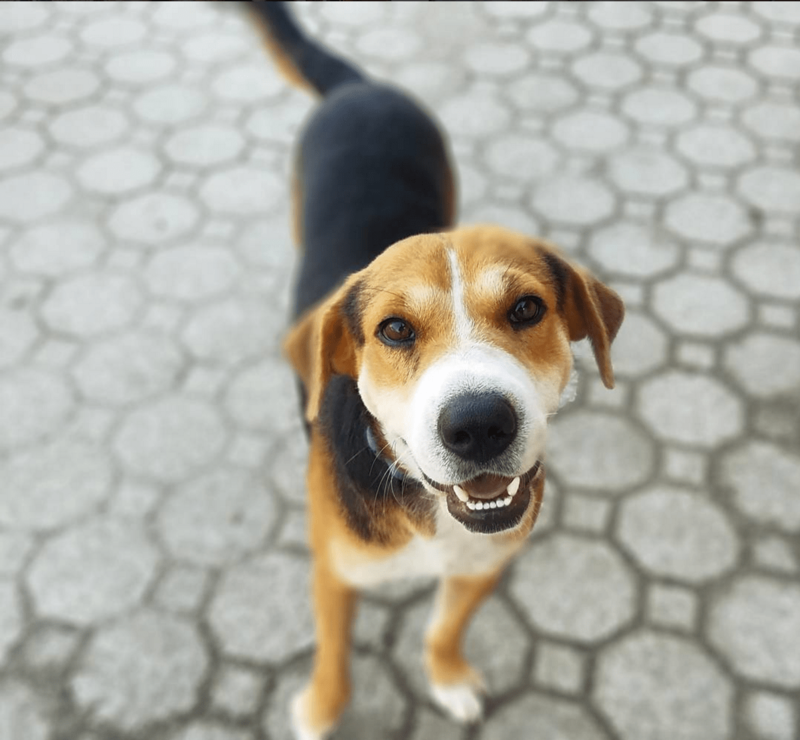 When I went to Punta Santiago, Puerto Rico earlier this summer to do fieldwork, I definitely wasn’t expecting to fall in love with a whole pack of adorable stray dogs—but it happened anyway. Punta is home to a lot of researchers studying monkeys on the neighboring island of Cayo Santiago, but it’s also a popular place in Puerto Rico for people to dump unwanted pets—and the result is a constantly growing population of dogs called satos that are often friendly, well-trained, and confused about being abandoned by the families they love. 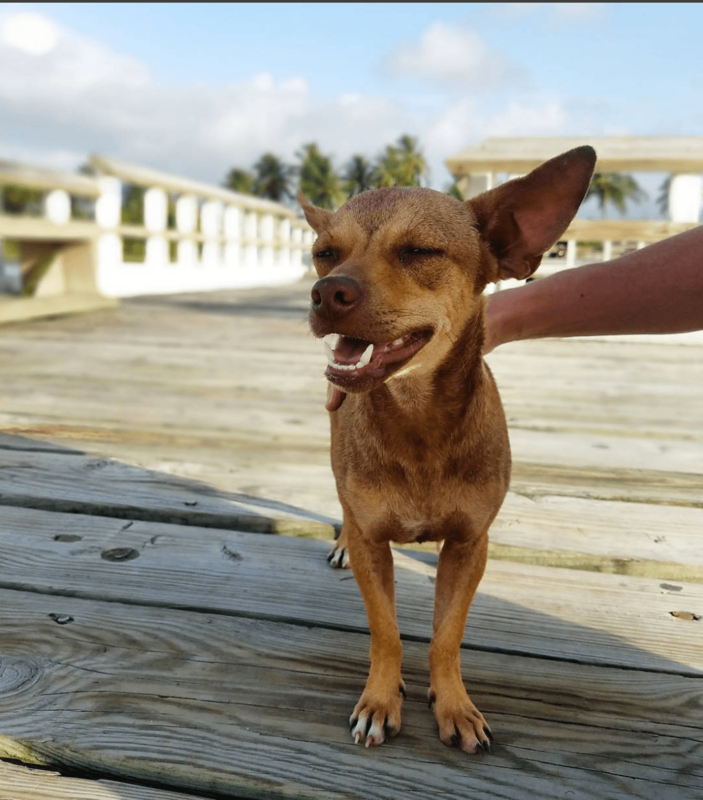 Here are just some of the dogs that I met and befriended the three weeks that I was there—they’re all cute af, playful, and adoptable anywhere in the mainland US! 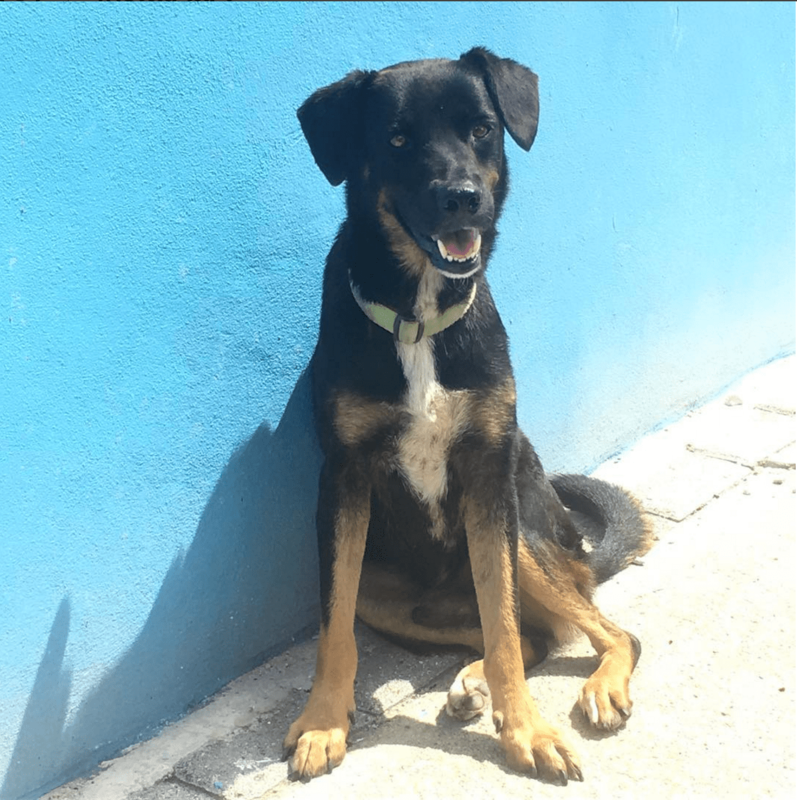 For more information, please check out Punta Santiago Dogs’ Instagram or Facebook—and spread the word about these pups! Lunch is one of my favorite dogs on the island. He’s a Chihuahua mix (much bigger than your average Chihuahua) who seems to be around 1 year old. (We’re not sure about his age but he definitely still acts like a puppy—his teeth are still coming in.) He has beautiful green eyes and enjoys jumping on things, belly rubs, and gently chewing on the people and pups he loves, especially his best friend, Fenway. Fenway has recently gotten a foster home in the States, which is amazing, but it means Lunch has been left alone on the island. I’ve been worrying about him since I left. A lot of people who see his picture think Fen is ugly before they meet him. I don’t relate, because I think his weird half-underbite is adorable, but either way, as soon as people meet Fen (or Finny) in real life they fall in love. 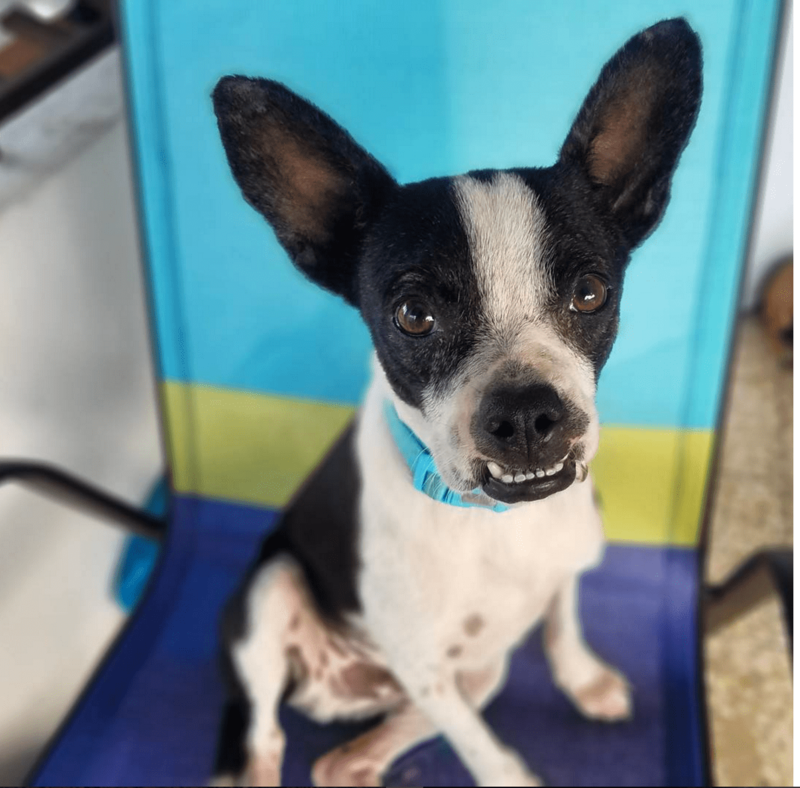 He’s a Boston terrier mix with the sweetest, gentlest personality—it’s pretty obvious that he used to be a pet, because he adjusts to new people ridiculously quickly. Within my first day on the island, he already felt comfortable to fall asleep in my lap. In general, he’s an amazing lapdog. Moose was low-key the most charismatic dog in his pack. He was always leading his friends around patrolling the neighborhood, and would lead his pack in following us to work every morning. His name stems from the fact that he’s the biggest, tallest dog on the island—and he’s also just a gorgeous dog. He’s really sweet with people but has a tendency to chase cats, so that should be taken into consideration if you want to adopt him. This cutie was Moose’s second in command for most of the time I was on the island, but I feel like he might have gotten replaced with Shadow at some point. 🙁 Party Dog, so named because he’s so incredibly chill that people think he would be a good dog to bring to a party, is a beautiful, calm shepherd mix. He spent most of his time hanging out with his pack or sleeping near us while the other dogs played with each other or stirred up trouble. It was really easy to grow fond of him—he was just so kind and sweet. Shadow is a funny little pup. 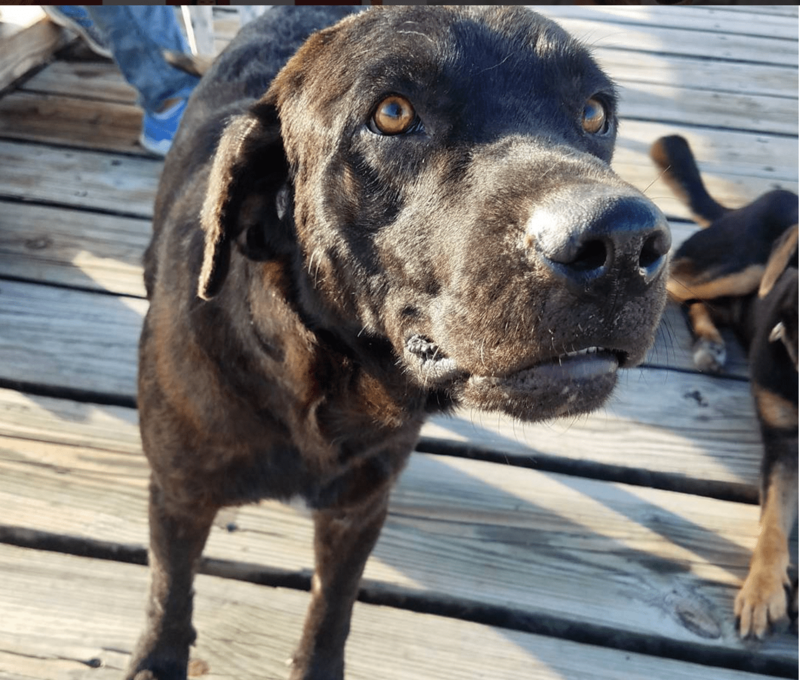 He had a really bad case of mange when I first met him, but with treatment, it was getting a lot better. With his health improving, he was also getting more energetic and acting more like himself by the end of my stay. Shadow is a mutt, like all of these dogs, but he just looks like a really pretty black lab. He’s prone to making these funny groaning sounds when he’s nervous. He’s also high-key in love with Moose, constantly following him around and kissing him, but it’s kind of an unhealthy relationship because Shadow seemed a lot more invested in it than Moose was. You deserve better, Shadow! Pulgoso is kind of the cutest pup on the island. He looks like a bigger beagle mix. 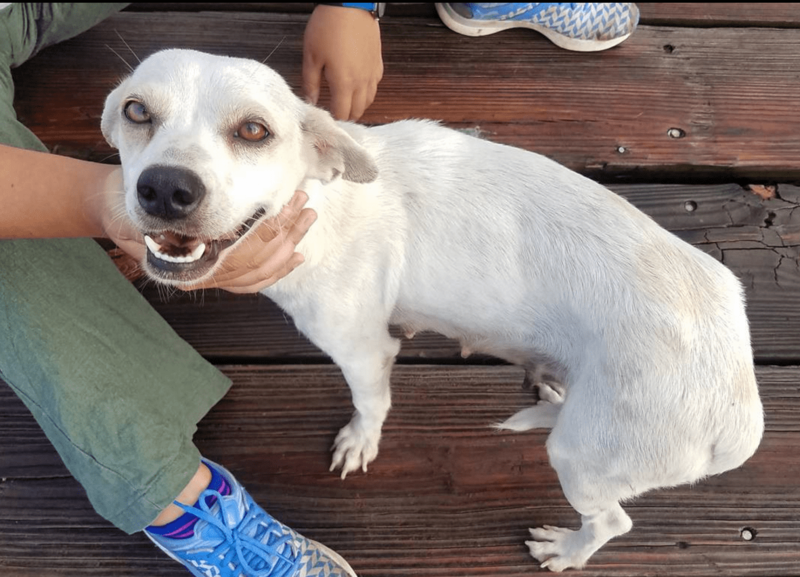 The people at the Panadería (Bakery) looked after him, giving him baths and food, so he was in better shape than the rest of the dogs. He was super soft and shiny and had nicer hair than I did. I wanted to ask him what conditioner he uses. Besides all that, he was also incredibly friendly and gentle, always wagging his tail. He’s a bit shy at first, gently sniffling new friends, but opens up a playful personality fairly quickly. Lyla broke my heart a little every time I saw her. She’d obviously recently given birth but her puppies were nowhere to be seen. Most of the time she was incredibly skittish, and it was hard to blame her because the other dogs weren’t always the nicest to her. We lured her onto our porch once to give her food, and once she relaxed a little she was so sweet and pretty—her eyes especially are this beautiful shade of brown. She really loves being with people and sometimes tried to come say hi even though there were so many dogs always hanging around our house. You guys, all of these dogs are so gentle and would adjust really well to being family pets in the States—all of the pups that have been placed into homes in the US thus far have done incredibly well. 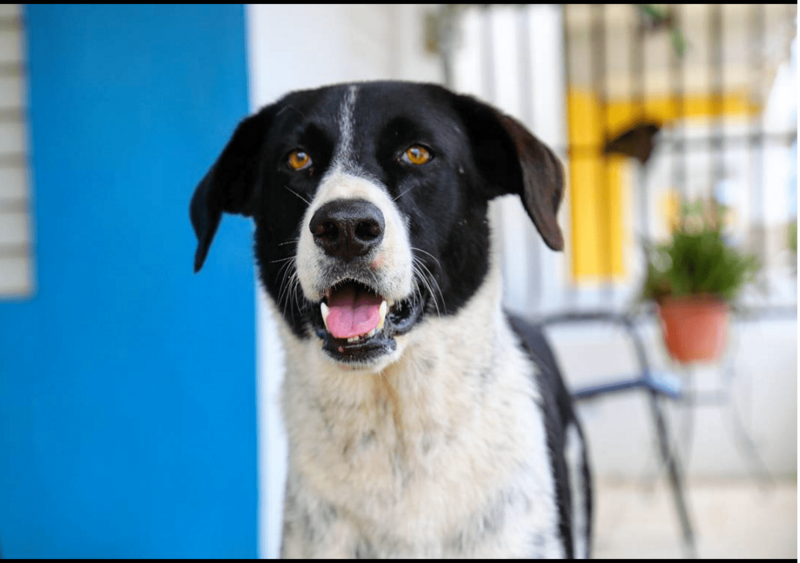 If you have been thinking about adopting or fostering a dog, please consider a sato—and even if you can’t handle a dog right now, please spread the word about these pups! They’ve all had rough starts and deserve nothing but the best from life.